Nikola Tesla, famous inventor and genius, won the ‘War of currents’ against Edison by backing Alternating Current (AC). We owe to him for electrifying our homes, towns and our lives. I was reminded of this lesson from my high school Physics when I read this piece in WSJ on how Tesla was increasingly becoming popular amongst geeks and teenagers. The author goes on to say that Tesla is ‘cool’ while Edison is not. Edison according to the author stands for the ‘boringly rich’ and monopolistic corporate power. Tesla was the one who dared and eventually lost. In fact, he died in relative obscurity and penury. Had he been alive now, this ‘romantic failure figure’ will be surprised to see his name adorning myriad products ranging from the high-performance electric cars as in the picture below to video games and electronic chips. It is an irony of sorts that in his lifetime he did not get credit for a lot of his work. For example, radio transmission that is credited to Marconi. The story of Tesla’s life (and work) has enough fuel to turbo-charge our imagination. There is a sense of mystery surrounding his work that always raises the question ‘what if’. Movies like ‘The Prestige’ have only added to this aura of intrigue. Tesla’s time has come. He is one of the original mavericks of the technology world. There is no doubt in my mind that his popularity will grow exponentially during our times and beyond. 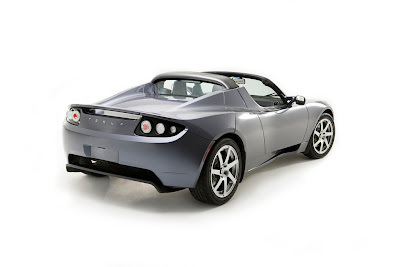 Little wonder that the scholar, the curious and the outliers are all clamouring to own Tesla, all in their own way. Edison is great. Tesla is a cult.